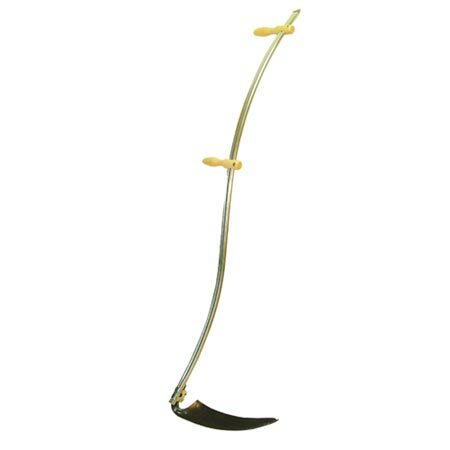 Make short work of topping brambles, weeds and long grass with this superbly designed tool. The aluminium handle has been designed and refined over time to give the perfect combination of balance and light weight, and the traditional hand-forged Austrian blade is based on a centuries-old design, with a reinforced point at the tip to protect the main body of the blade against damage. Handle length 1.5m (5'), blade length 42cm (18").